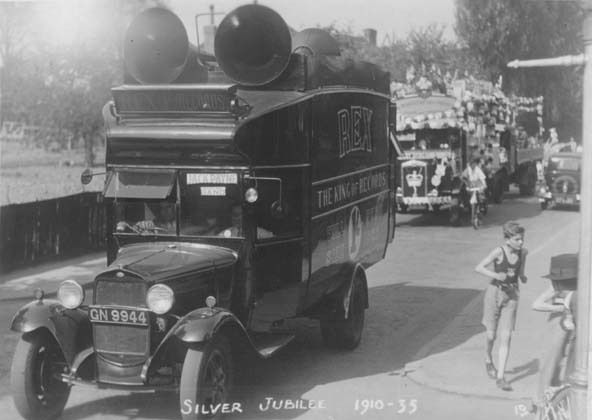 Millions of gramophone records were produced by the Crystalate Gramophone Record Manufacturing Company at its works in Cannon Lane, Tonbridge, between 1917 and 1937. These were 78 r.p.m. records, pressed from the brittle material shellac – the sticky secretions of an Asian insect, mixed with fine clay or other filler. Most were ten inch discs, giving about three minutes of music on each side when played on a wind-up or later an electrical gramophone. 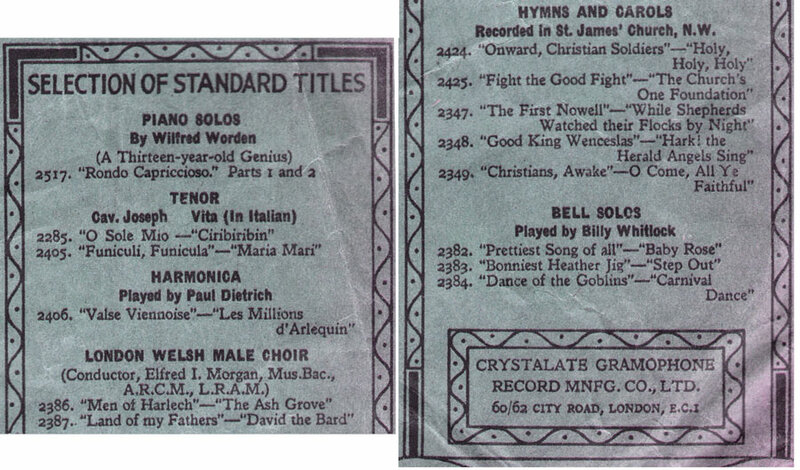 Crystalate was a major provider of popular music on disc, selling its records under the Imperial, Eclipse, and Rex labels. The firm began in Golden Green in 1902 making billiard balls out of the composite material which gave the firm its name. 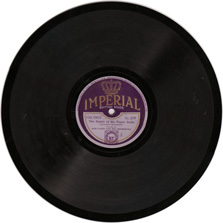 Manufacture of gramophone records probably began a few years later, when Crystalate took over from a short-lived venture called ‘Neophone' which attempted to produce 'indestructible' gramophone records from papier maché. Crystalate's Town Works in Cannon Lane, Tonbridge, opened in 1917. In 1933 the firm had some 400 employees working in its two large buildings located where the Homebase store now stands. Crystalate also ran a printing works nearby, and had offices at Crystalate House, the former convent in Mill Crescent now replaced by Shrublands Court. 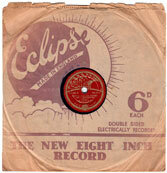 By 1937 the Company's record making business was in trouble. 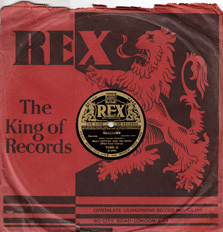 Crystalate was trying to undercut the market by selling its Rex label discs at 1/-, compared to the 1/6d charged by Decca, HMV and Columbia, and were also supplying records for sale at 6d each in Woolworths. In March, Decca bought the Crystalate plant, trademarks and goodwill for £200,000 and transferred the record manufacturing to its existing factory in New Malden, Surrey. The Tonbridge works was damaged by fire and floods in 1968 and eventually became a garage before being demolished to make way for the link road through to Hadlow Road. Snooker and billiard balls bearing the name 'Crystalate' are still obtainable, but are not made in Tonbridge. >You can see Crystalate's van advertising Rex Records here.